Automotive Original Equipment Manufacturers (OEMs) are constantly establishing new manufacturing plants in various countries. The establishment of new plants offers plenty of opportunities to the OEM but at the same time the problem to integrate these new plants into its global production and logistics network is posed. One way of handling this problem is to outsource some of the needed capabilities (macro level business functions, e.g. warehouse management) to Logistics Service Providers (LSPs). The OEM is then faced with the question, which capabilities to outsource when establishing a new plant. The LSP on the other hand has to evaluate which products and services to offer to an OEM. 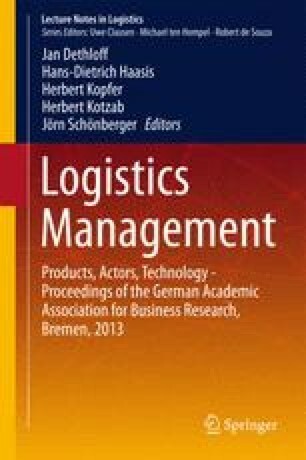 The purpose of this paper is to outline the development of a methodology based on techniques from Enterprise Architecture (EA) and more specifically Capability-based Planning (CBP) that helps answer these questions.